I’m pleased to be part of a benefit concert for the refugee home in Lich. 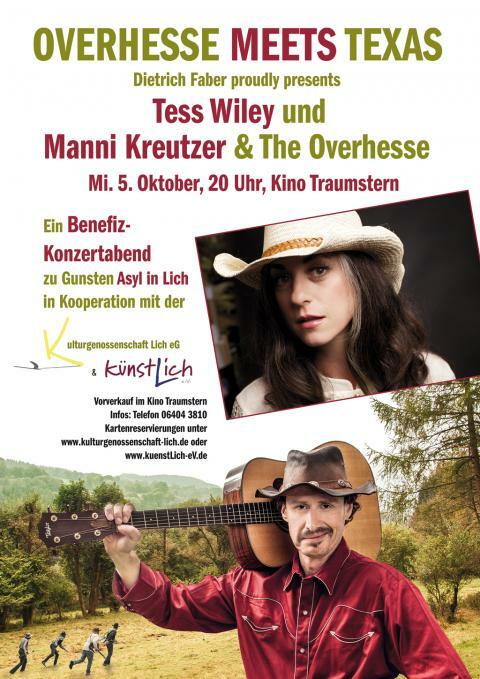 Dietrich Faber is hosting, Manni Kreuzer and I will be performing, along with Tim Potzas and Michael Harries on guitar, mandolin, pedal steel, banjo and resonator. Manni and I will also duet on voilin! Yee-haw! Kino Traumstern on October 5th at 8 p.m.